Want more Buck than Exotic Products Shorty 1 Buck, but don't' want to loose the power? Who says size matters? 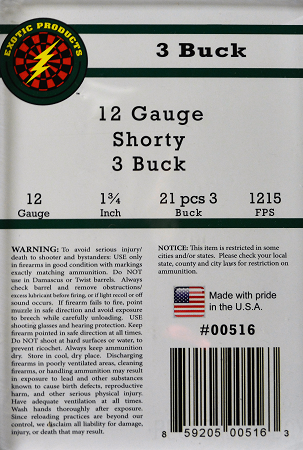 Get that punch of normal length shotgun ammunition in the length of a compact - A Shorty! With 21 pieces of 3 Buck compressed into a Shorty makes this load one to see. 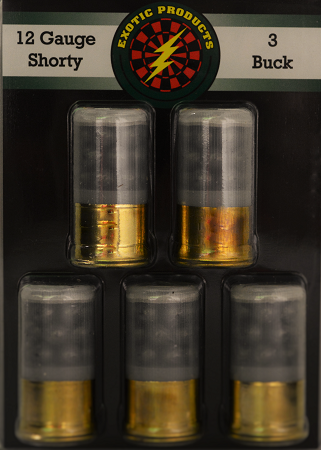 When a #1 Buck load just isn't enough, get the #4 Buck Shorty Load - clear shotgun shells. See what your shooting before you take the shot.